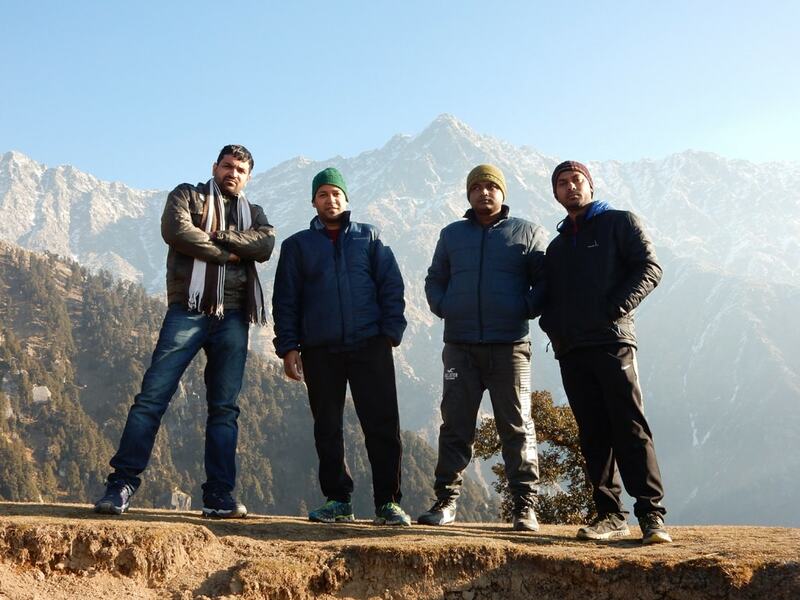 This is my first trip in 2016, we were four boys (Vivek, Manish, Shashank and Deepankar) and finally decided for Triund trekking. We booked bus tickets from Bedi Travels in Volva AC Semi sleeper from Delhi to Mcleodganj; bus condition was very good. 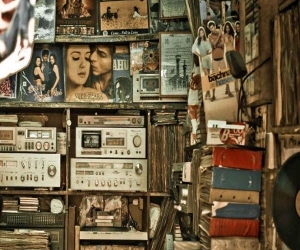 All of us gathered at Vidhansabaha metro station and then went to Majnu ka Teela to catch the bus. Bus timing was 7:00 PM and bus left from Delhi on time. 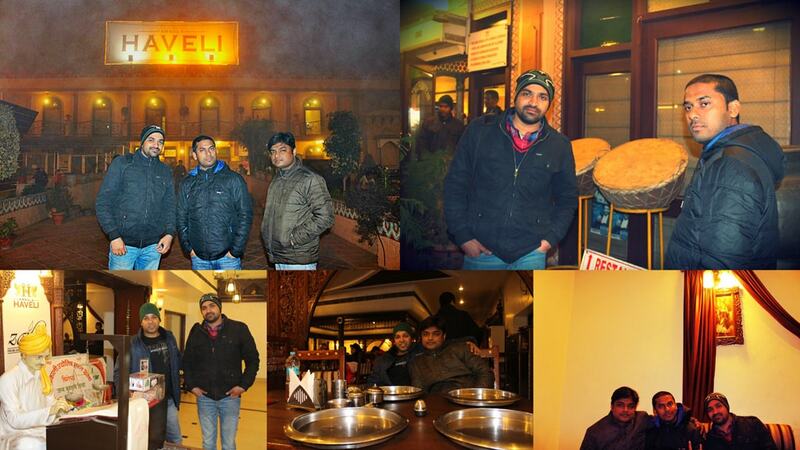 Around 10:00 PM on 22 Jan 2016, bus reached Ambala and stopped for dinner at Ambala Haveli. All of us taken food and captured some photographs; after that, we took good sleep in the bus. The bus took one more stop in the early morning around 5:00 AM where we had coffee. 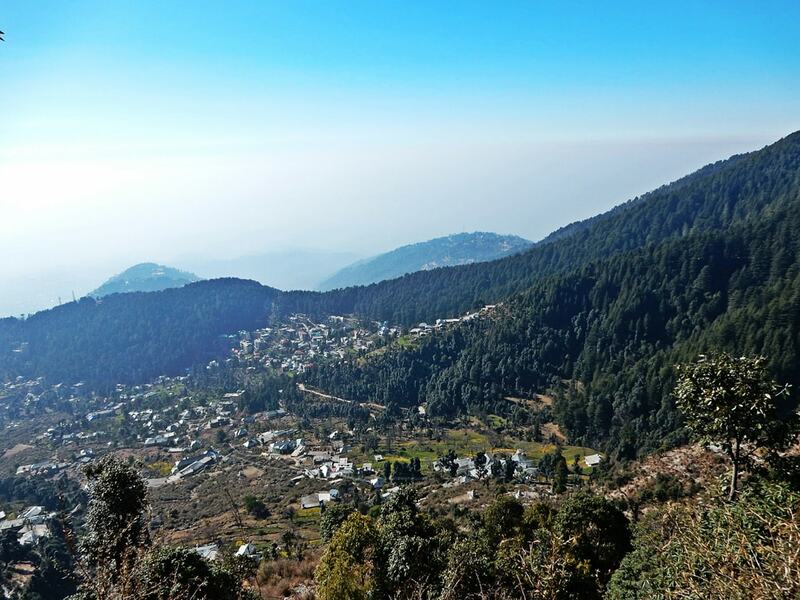 Next day on 23 Jan 2016 around 8:15 AM, we reached Mcleodganj. 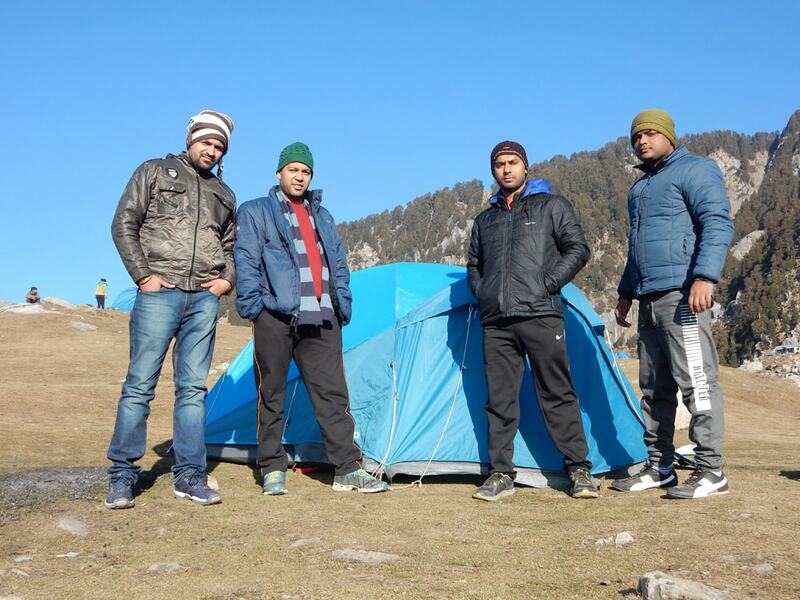 We had advanced booking trekking package from Triund Junction (Mr. Vijay Choudhary is the owner of this), so the driver was waiting for us. 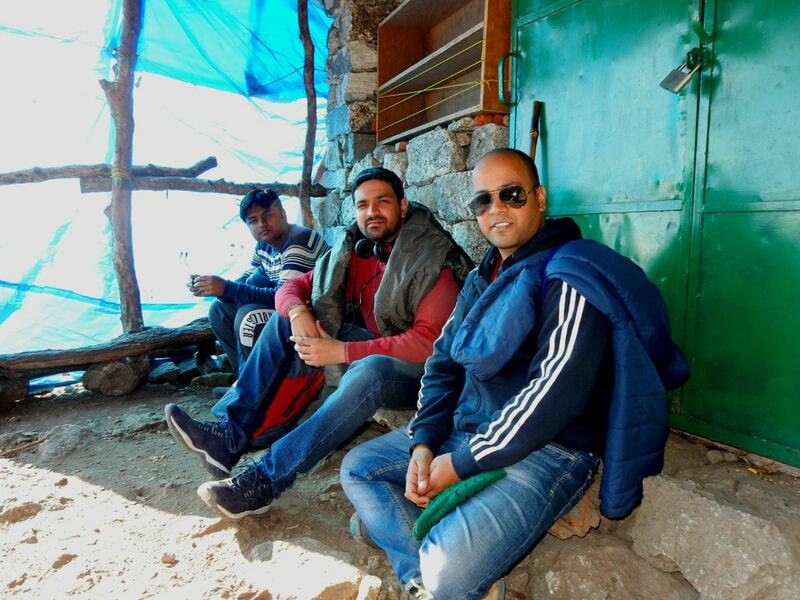 He dropped us to Triund Junction guesthouse; Guesthouse caretaker welcomed us with hot tea. After refreshment, we had breakfast and ready for trekking with packed food for lunch. The driver dropped us from guesthouse to Galu Devi temple and we met with our guide Mr. Avatar. We started trekking around 11:30 AM. 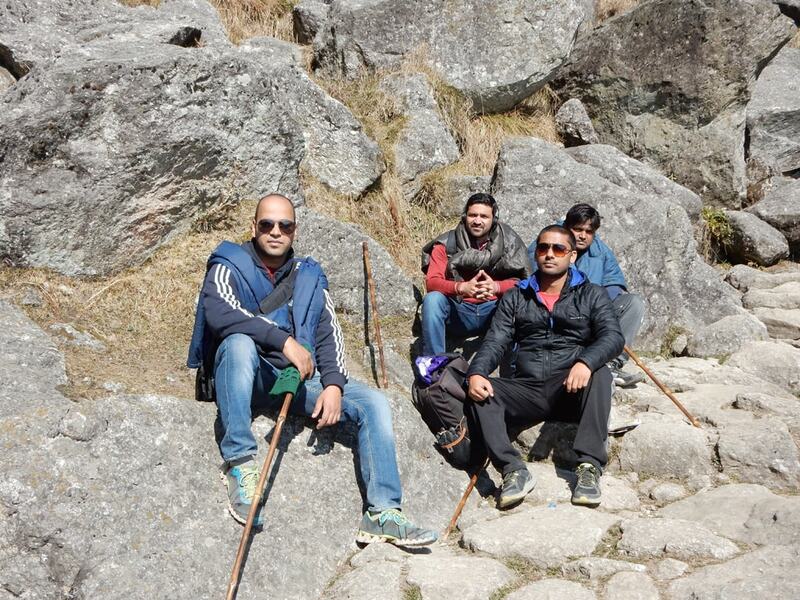 From Galu Devi to Triund is 6 KM trek, but all of us were feeling tired just in 1 KM. 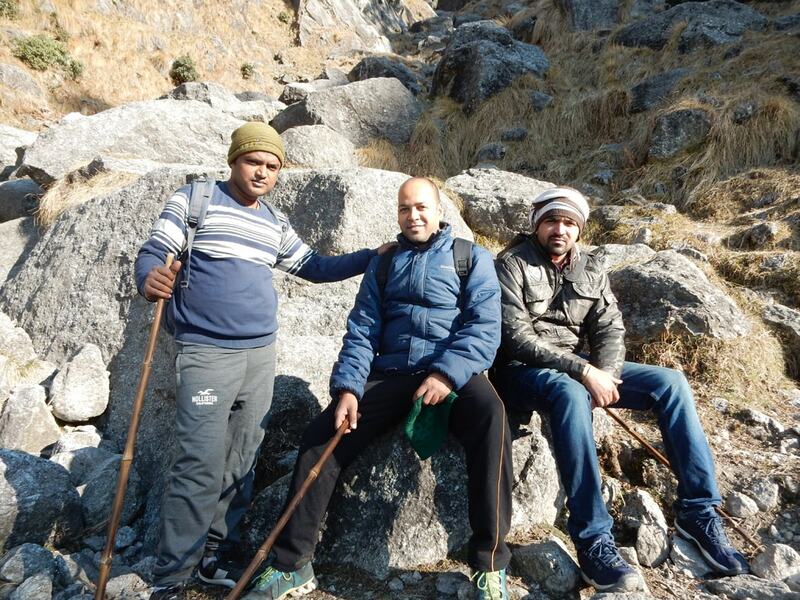 All of us were very excited, only I had prior experience in trekking in my Chopta trip. 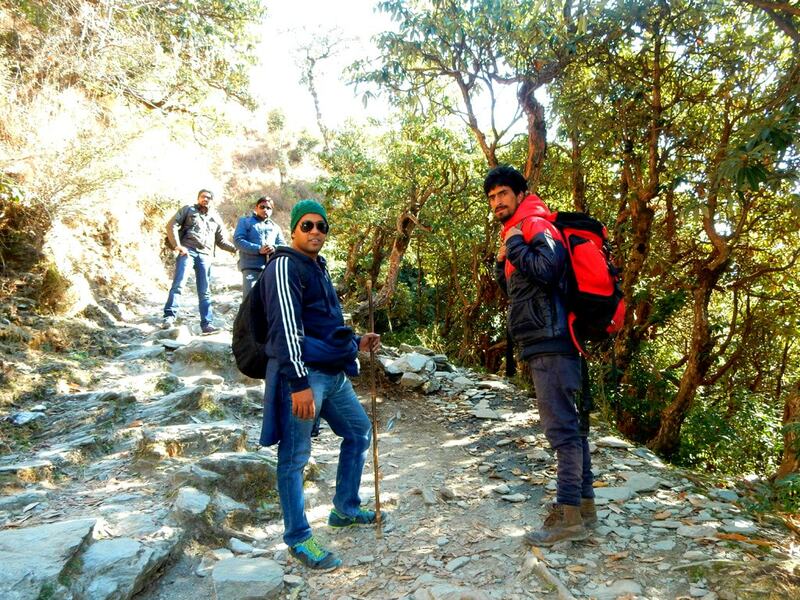 This trek was totally different from Chopta Tungnath trek; actually, we need to climb on stones and rough route instead of a proper path like Chopta. We took multiple breaks for rest, photo session and snacks. 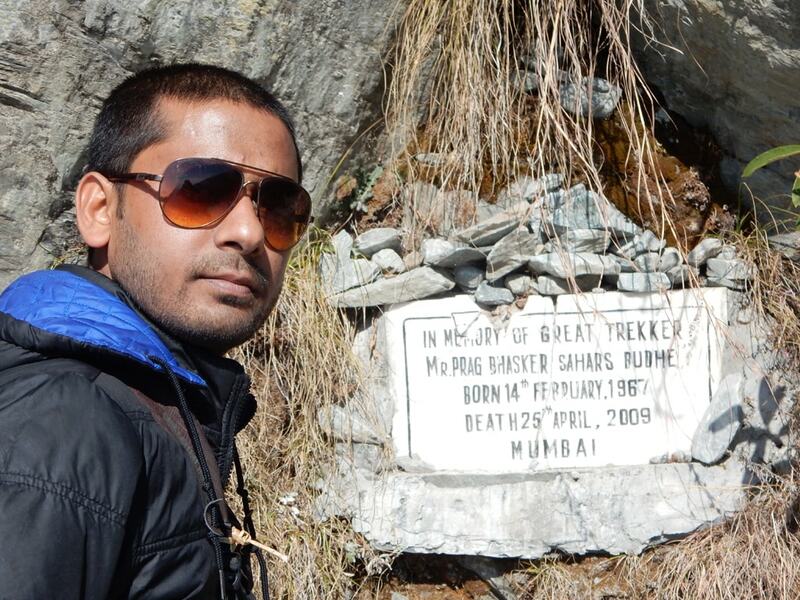 After 2 KM trekking, we saw a memory board of great trekker Prag Basker who died in 1992 in Triund Trekking. 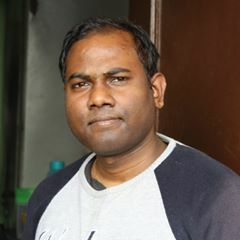 I and Deepankar captured photos with that memory board and decided to trek carefully. There was some foreign tourists along with a lot of Indian tourists. 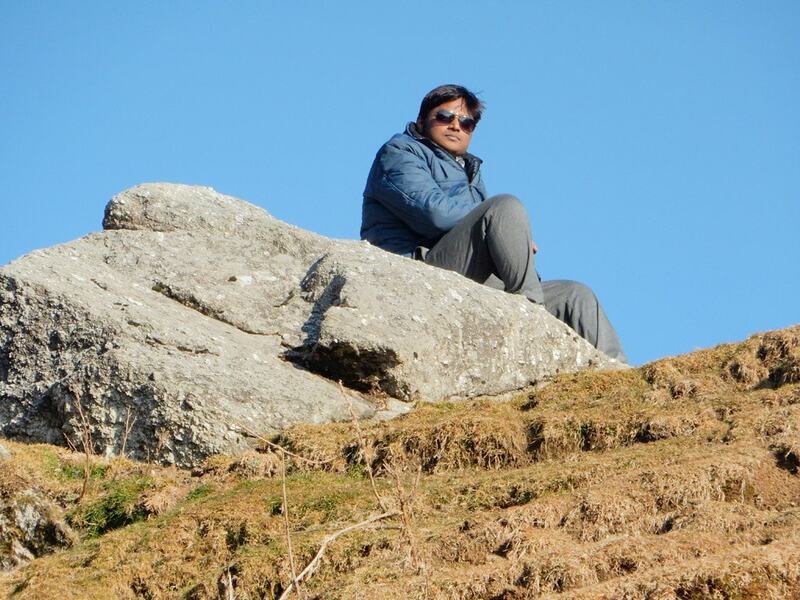 Everyone was enjoying the beautiful range of Dhauladhar hills. Around 1:30 PM, we crossed halfway and stopped for some snacks and fruits. 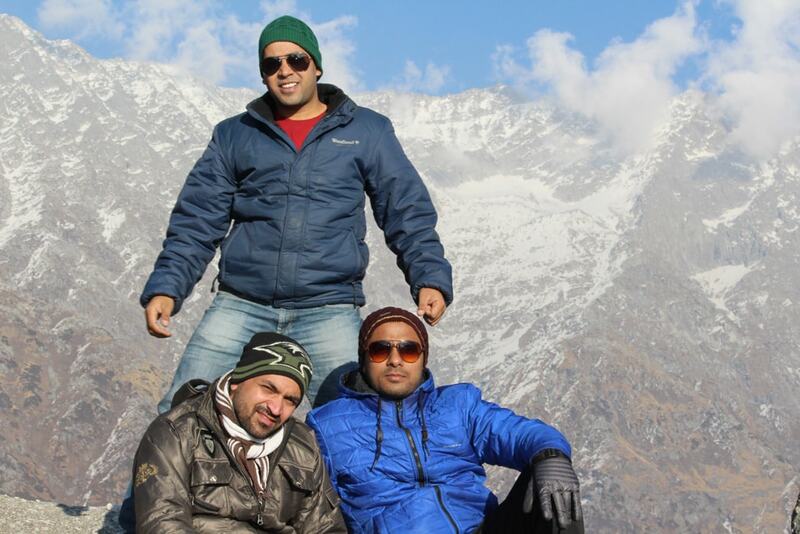 No one was hungry, so we decided to take lunch at Triund. Around 3:30 PM, we finally reached the top and first thanks to God. After some relaxation, we had lunch and ready for fun. The weather was sunny and there was little snow too. 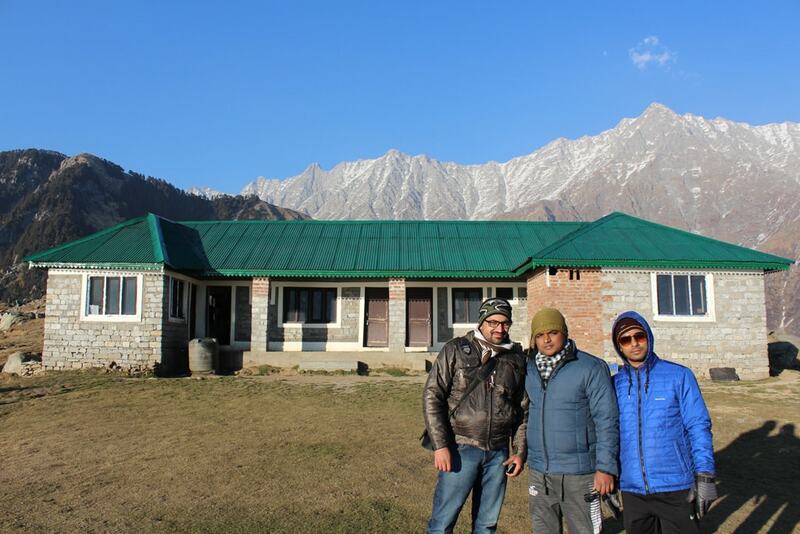 After some photographs, we went to Triund Mountain Lodge which was located at the end point of Triund hills. Time was around 6:00 PM and the sun was going down. 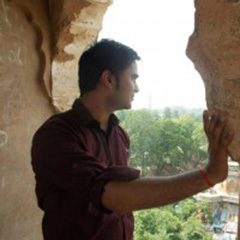 Shashank was ready with his DSLR to capture some good shots. 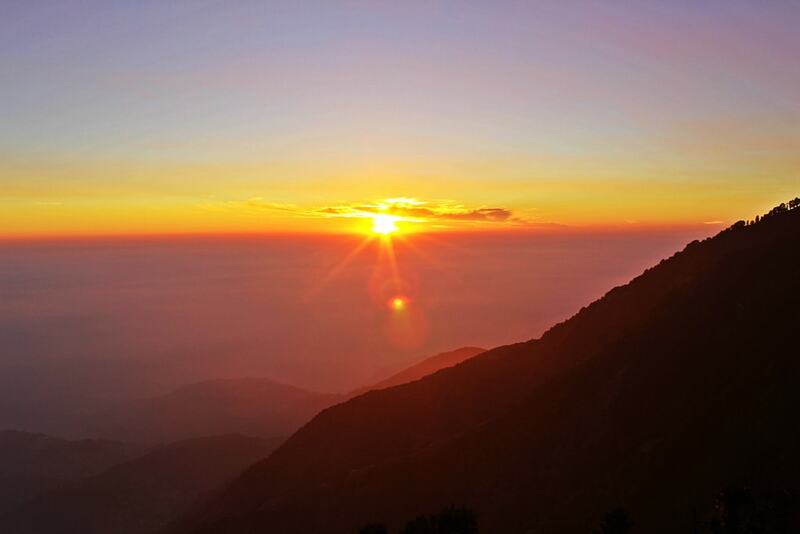 Sunset was really superb from Triund hills. Good weather was plus points for us. I and Shashank captured some photographs of sunset. 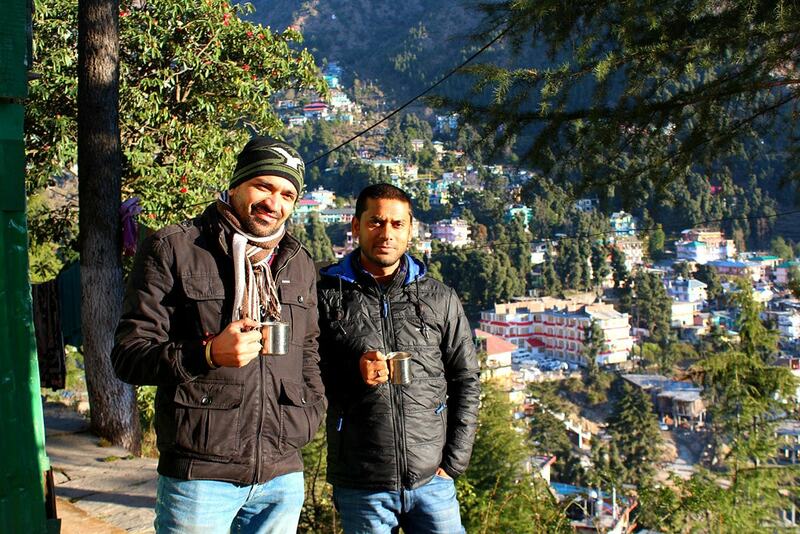 Deepankar and Manish were just enjoying the beautiful evening. 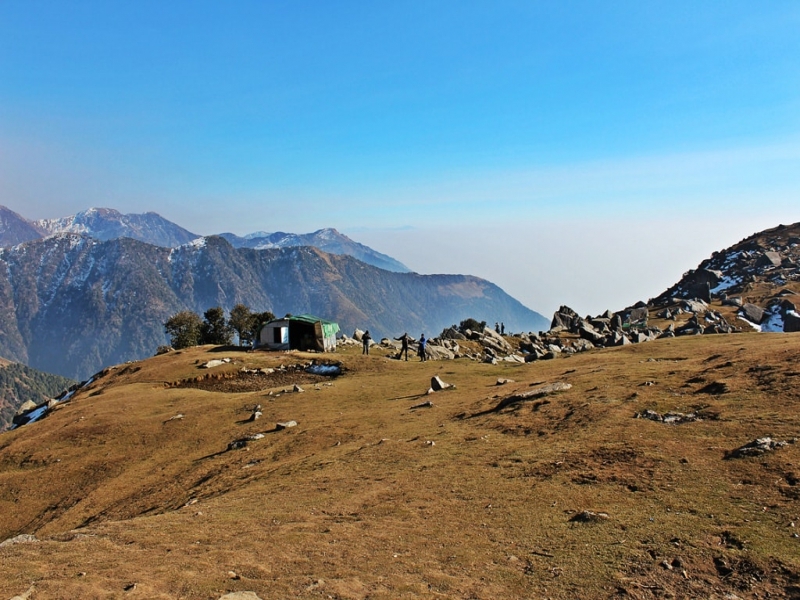 If you are planning on camping at Triund, then advance booking is must otherwise you should come with tents. 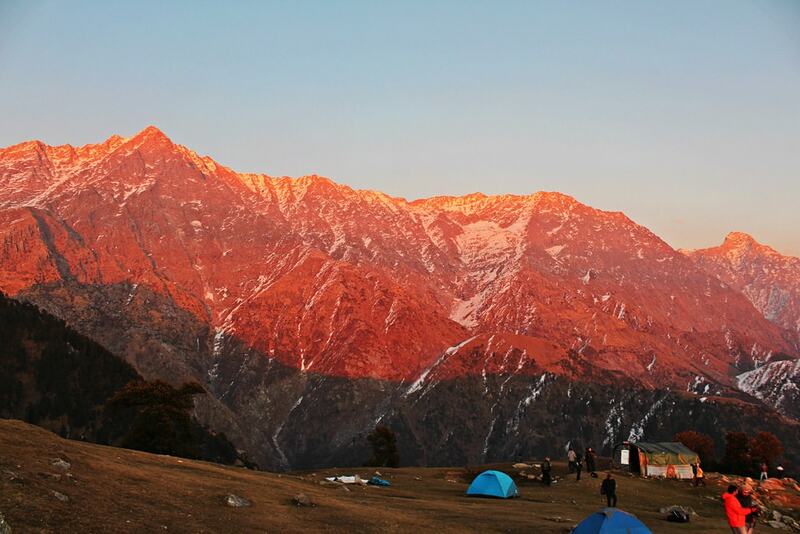 You can also rent a tent from Mcleodganj town because only a few tents were available at the top. 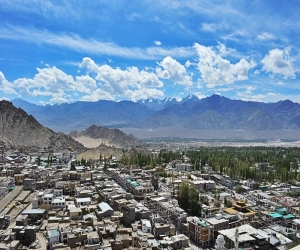 Some tourist returned due to unavailability of tents/Lodge. After some fun, we returned to our camp and taken Maggie. 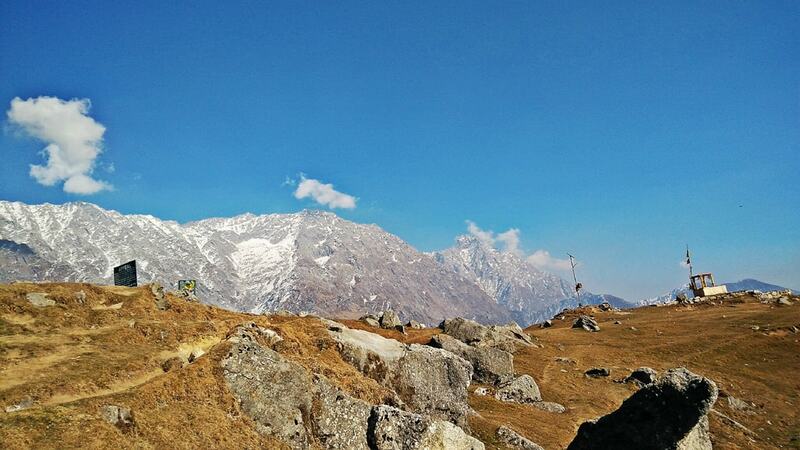 Maggie is the best food for mountain lover or you can say lifeline for the mountaineer. 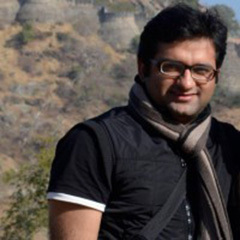 Manish was very scared about cold weather and staying the first time in the tent. He just took extra blankets from the guide and wear multiple layers of clothes. Tonight was the full moon night and sky were clear and blue with a lot of stars. Around 7:30 PM, all of us along with other people gathered near the bonfire and talked about each other experiences. The bonfire was really good and relaxing in cold weather. After dinner, we went inside our tent and took a deep sleep. 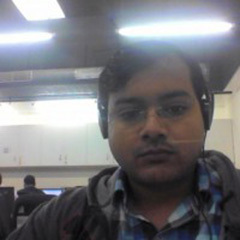 Next day on 24 Jan 2016 in the morning around 7:00 AM, we woke up and warm with hot tea. After breakfast and some photo session, we decided to go down. 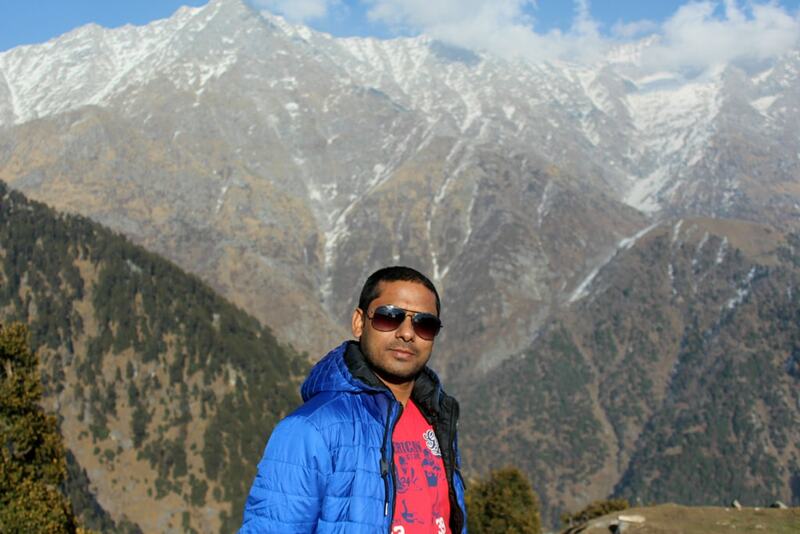 Going down is always easy in compared to climbing up, but Triund trek is different one. You need to equally careful in going down because of the very rough route and big stones on the way. 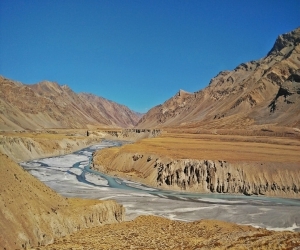 Around 9:00 AM, we started return trek. This time, we covered 6 KM trekking in just two hours because we didn't take a rest to maintain our breathing. But yes we took several stops for photography. 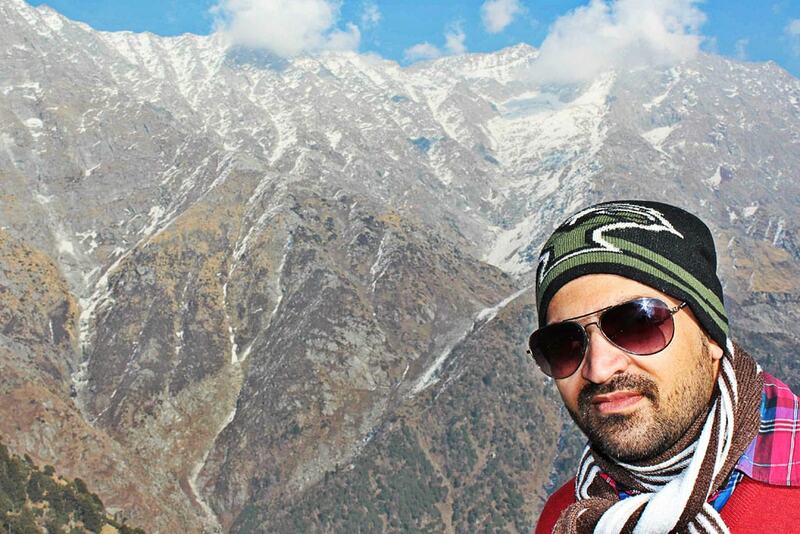 Today, we saw a lot of trekkers was going Triund. 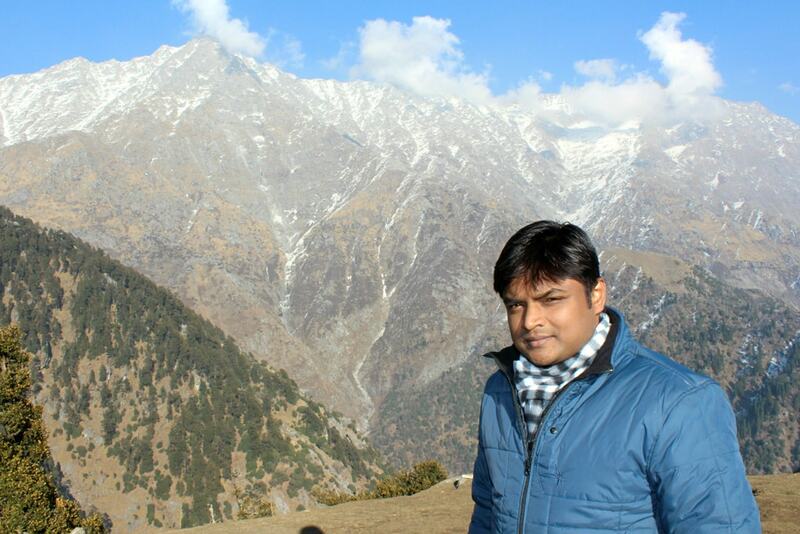 I also met with my friend Rajesh, he was going up today. 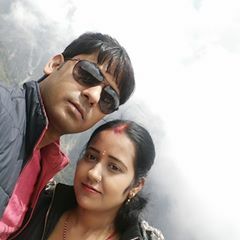 Finally, we reached Galu Devi temple around 11:00 AM. The driver was waiting for us and dropped us to the guesthouse. This was really a great experience, we enjoyed a lot, but the trip was not ended yet. 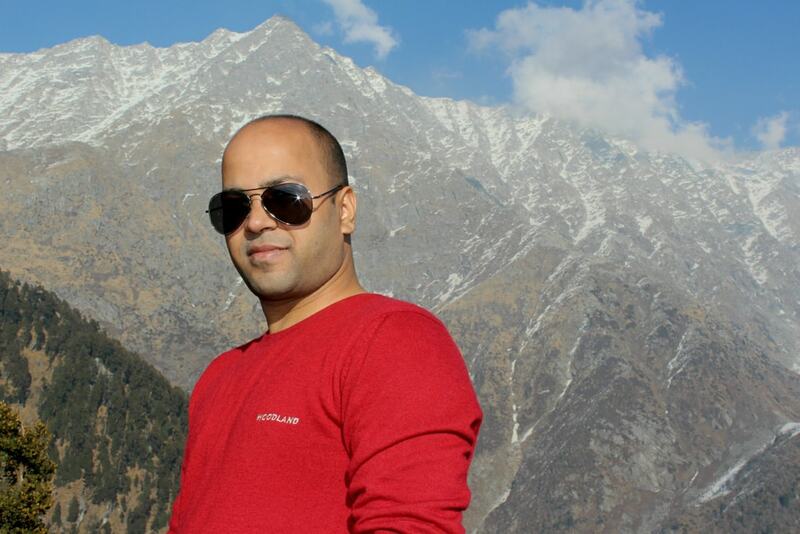 Next two day, we spent time in Mcleodganj and Dalhousie. 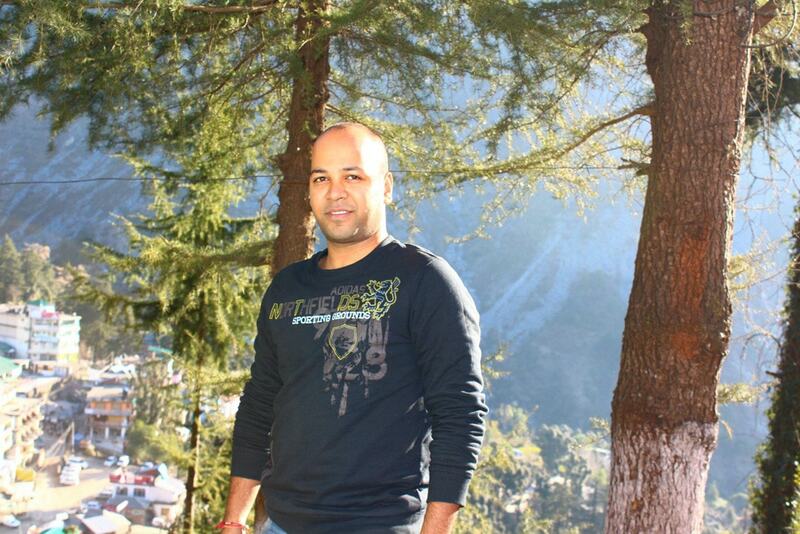 Read my experience in Mcleodganj town and Dalhousie.